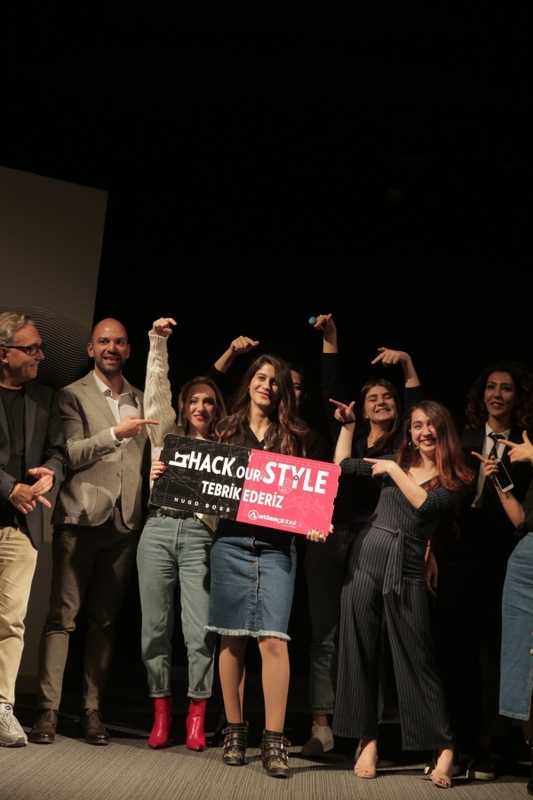 Twelve university students participated in the competition, “Hack Our Style”, which is co-organized by Atlasglobal and Hugo Boss, with the aim of creating innovative designs for cabin crew uniforms. Yaren Eren, junior at IUE Department of Fashion and Textile Design, came in first place at the competition. Eren stated that she studied math and science in high school, however, her interest in design, led her to fashion. “I scored high in the university entrance exam. 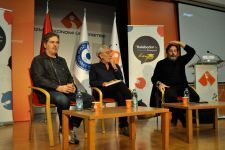 I preferred Department of Fashion and Textile Design at Izmir University of Economics to benefit from the qualified education and best opportunities the school offered. I got very excited about the competition when I heard about it in class. We have a busy study schedule but I got motivated about the competition thinking about working with two companies in the sector,” said Eren. 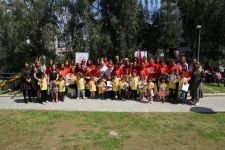 Eren reported that they received feedback from the cabin crew at the workshops held in order to meet the companies they would be designing for, and understand their wants and needs. Eren said, “I knew exactly what fabrics to use to solve their problems. We receive training not only on concept outfits but also on ready-to-wear, physical properties and characteristics of fabrics, and their uses. 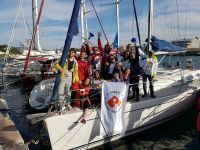 As soon as we identified the needs of the cabin crew, ideas were racing in my head already.” After the preparations were set, they entered into a 48-hour design and sewing marathon, said Eren and added that she was able to sleep for 3 hours only in total. “It was difficult and exhausting to design on specific needs on a limited time schedule. After we submitted our designs, real crew cabin put them on and displayed them in front of a jury. When they announced the results, I was extremely happy. The experience was unbelievable, said Eren.